[S1353] Edward Lawrence Healey entry, Birth Record This document was provided to me, Taryn L. Phelan (221 Westwood Avenue, Waterbury, Connecticut 06708), by Brian and Anne D'Costa, (1 Henderson Rise, Pacific Pines 4211, Queensland, Australia on September 21, 2013 (15 May 1882). [S1354] Edward Lawrence Healey, Edward Healey's Death Registration. [S1341] Thomas Healy, Thomas Healy's Death Registration, shows issue: Edward Healy. [S1342] Mary Healy, Mary Long Healy's Death Registration, shows issue (of Thomas and Mary Healy): Edward, 38 years. [S1353] Edward Lawrence Healey entry, Birth Record This document was provided to me, Taryn L. Phelan (221 Westwood Avenue, Waterbury, Connecticut 06708), by Brian and Anne D'Costa, (1 Henderson Rise, Pacific Pines 4211, Queensland, Australia on September 21, 2013, shows father as Thomas Healey (15 May 1882). [S1490] Hannah Francis Healey entry, Birth Record This document was provided to me, Taryn L. Phelan (221 Westwood Avenue, Waterbury, Connecticut 06708), by Brian and Anne D'Costa, (1 Henderson Rise, Pacific Pines 4211), Queensland, Australia on September 21, 2013, shows issue of Thomas and Mary Long Healey as Edward Lawrence Healey (1year) (1 December 1883 (Registered 9 January 1884 by Edward Glowrey)). [S1354] Edward Lawrence Healey, Edward Healey's Death Registration, shows father as Thomas Healey. [S1341] Thomas Healy, Thomas Healy's Death Registration, shows issue (Thomas's wife is Mary Long): Edward Healy. [S1342] Mary Healy, Mary Long Healy's Death Registration, shows issue: Edward, 38. [S1353] Edward Lawrence Healey entry, Birth Record This document was provided to me, Taryn L. Phelan (221 Westwood Avenue, Waterbury, Connecticut 06708), by Brian and Anne D'Costa, (1 Henderson Rise, Pacific Pines 4211, Queensland, Australia on September 21, 2013, shows mother as Mary Healey, formerly Long (15 May 1882). [S1354] Edward Lawrence Healey, Edward Healey's Death Registration, shows mother as Mary Healey, formerly Long. [S1353] Edward Lawrence Healey entry, Birth Record This document was provided to me, Taryn L. Phelan (221 Westwood Avenue, Waterbury, Connecticut 06708), by Brian and Anne D'Costa, (1 Henderson Rise, Pacific Pines 4211, Queensland, Australia on September 21, 2013, shows date and place of birth (15 May 1882). 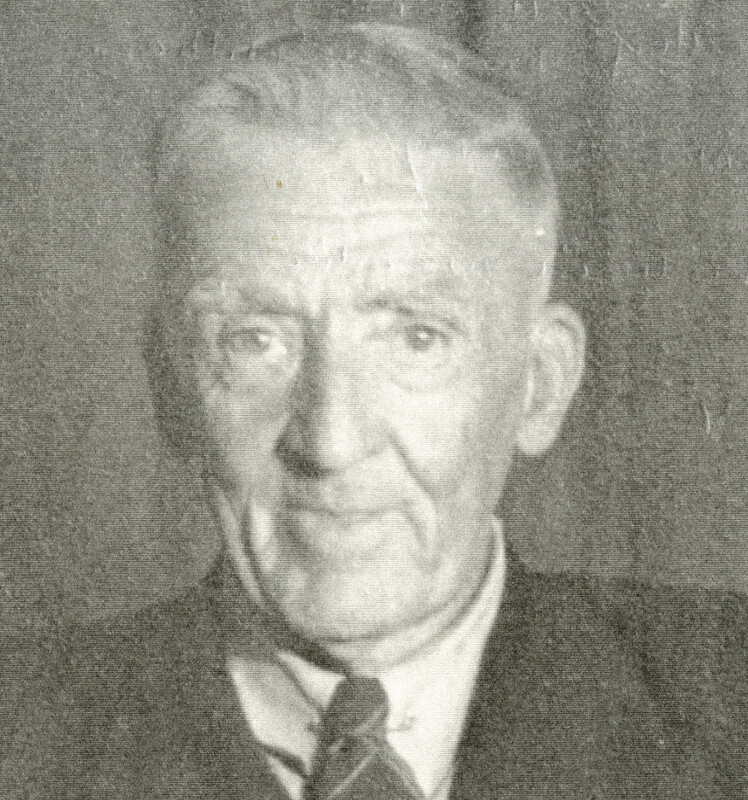 [S1493] Edward Laurence Healey: Father's Name-Thomas Healey, Mother's Name-Mary Long, Birth Place-Biregurra, Victoria, Registration Year-1882, Registration Place-Victoria, Registration Number-7146, Birth Index (unknown file date). [S1353] Edward Lawrence Healey entry, Birth Record This document was provided to me, Taryn L. Phelan (221 Westwood Avenue, Waterbury, Connecticut 06708), by Brian and Anne D'Costa, (1 Henderson Rise, Pacific Pines 4211, Queensland, Australia on September 21, 2013, shows spouse as Amelia Hanna Nichols and marriage place as Fitzroy, Victoria when he was 21 years old (15 May 1882). [S588] Autralian Electoral Rolls, 1903-195436, 1914: Edward Lawrence Healey and Amelia Hannah Healey. 33 Hancock St, South Melbourne. [S588] Autralian Electoral Rolls, 1903-195436, 1919: Edward Laurence Healey and Amelia Hannah Healey. 592 City Rd., South Melbourne. [S1353] Edward Lawrence Healey entry, Birth Record This document was provided to me, Taryn L. Phelan (221 Westwood Avenue, Waterbury, Connecticut 06708), by Brian and Anne D'Costa, (1 Henderson Rise, Pacific Pines 4211, Queensland, Australia on September 21, 2013, shows residence (15 May 1882). [S1354] Edward Lawrence Healey, Edward Healey's Death Registration, shows date, place, and cause of death. [S1220] Australia Death Index: Edward Lawrence Healey: age, 75. Father: Thomas. Mother: Mary Long.Registration Year: 1958. Registration Place: Victoria. Regsitration Number: 2731. Estimated Birth year: abt 1883. [S1354] Edward Lawrence Healey, Edward Healey's Death Registration, shows date and place of burial. [S1354] Edward Lawrence Healey, Edward Healey's Death Registration, shows issue of the parents (Edward and Amelia Healey) as Gwladys, deceased. [S1491] Brian and Anne D'Costa, "Edward Lawrence Healey Family Group Sheet", Gladys Eunice Theodore Healey. [S1354] Edward Lawrence Healey, Edward Healey's Death Registration, shows issue of the parents (Edward and Amelia Healey) as Annie, deceased. [S1491] Brian and Anne D'Costa, "Edward Lawrence Healey Family Group Sheet", Annie Amelia Marguerita Healey. [S1354] Edward Lawrence Healey, Edward Healey's Death Registration, shows issue of the parents (Edward and Amelia Healey) as Leslie, age unknown. [S1491] Brian and Anne D'Costa, "Edward Lawrence Healey Family Group Sheet", Leslie Lawrence Healey. [S1354] Edward Lawrence Healey, Edward Healey's Death Registration, shows issue of the parents (Edward and Amelia Healey) as Eileen, 45 years. [S1491] Brian and Anne D'Costa, "Edward Lawrence Healey Family Group Sheet", Eileen Mary Healey. [S1354] Edward Lawrence Healey, Edward Healey's Death Registration, shows issue of the parents (Edward and Amelia Healey) as Jean, 42 years. [S1491] Brian and Anne D'Costa, "Edward Lawrence Healey Family Group Sheet", Jean Daphne Healey. [S1354] Edward Lawrence Healey, Edward Healey's Death Registration, shows issue of the parents (Edward and Amelia Healey) as Burt, 40 years. [S1491] Brian and Anne D'Costa, "Edward Lawrence Healey Family Group Sheet", Burt Healey. [S1354] Edward Lawrence Healey, Edward Healey's Death Registration, shows issue of the parents (Edward and Amelia Healey) as Edna, 38 years. [S1491] Brian and Anne D'Costa, "Edward Lawrence Healey Family Group Sheet", Edna May Healey, child. [S1354] Edward Lawrence Healey, Edward Healey's Death Registration, shows issue of the parents (Edward and Amelia Healey) as William, 37 years. [S1491] Brian and Anne D'Costa, "Edward Lawrence Healey Family Group Sheet", William Thomas Healey, child. [S1354] Edward Lawrence Healey, Edward Healey's Death Registration, shows issue of the parents (Edward and Amelia Healey) as Robert, 33 years. [S1491] Brian and Anne D'Costa, "Edward Lawrence Healey Family Group Sheet", Robert Healey, child. [S1354] Edward Lawrence Healey, Edward Healey's Death Registration, shows issue of the parents (Edward and Amelia Healey) as Edward, 33 years (twin to Robert). [S1491] Brian and Anne D'Costa, "Edward Lawrence Healey Family Group Sheet", Edward Healey, child. [S1354] Edward Lawrence Healey, Edward Healey's Death Registration, shows issue of the parents (Edward and Amelia Healey) as Doreen, 29 years. [S1491] Brian and Anne D'Costa, "Edward Lawrence Healey Family Group Sheet", Doreen Healey, child. [S1354] Edward Lawrence Healey, Edward Healey's Death Registration, shows issue of the parents (Edward and Amelia Healey) as Patricia, 27 years. [S1491] Brian and Anne D'Costa, "Edward Lawrence Healey Family Group Sheet", Patricia Ruth Healey, child.